While traveling as a single mom can seem daunting, with a little planning and preparation you can have a great trip with your children. The summer I became a single Mom, we already had a family vacation planned for the next month. The vacation was paid for and the children were already excited. After the huge blow of their dad leaving, how could I also disappoint them by skipping our vacation. I’m so grateful I had that push to jump in to traveling with my kids as a single mom. Three years later we’ve traveled together countless times. 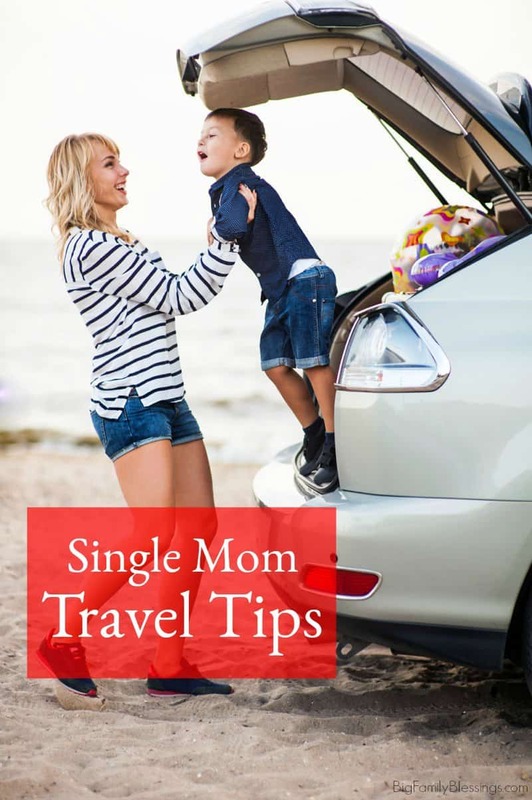 Through all that traveling I love to share my best single mom travel tips. These tips will help you not just survive vacationing alone with your children, they will help you have an amazing time while creating great memories with your kids. 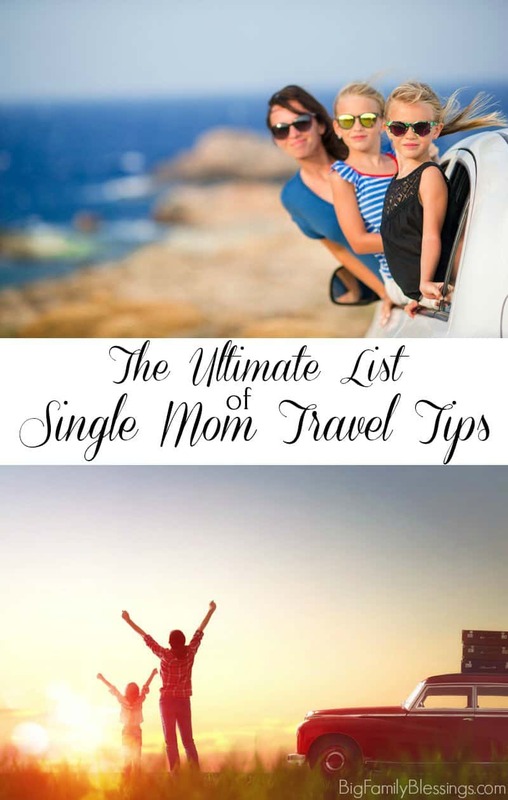 Single Mom Travel Tips – If you’ve never traveled as a single mom or feel really nervous about traveling alone with your children start with this post with all my best tips for jumping into single mom traveling. Long Car Ride Survival Tips for Single Moms – After frequently traveling alone with my 6 children I’ve learned a few tricks to make those long car rides easier. Single Mom Road Trip Travel Tips – Being the only adult in a car on a long trip is difficult, learn how to survive the drive. Avoid Traveling Meltdowns with these 2 Easy Tips – Traveling meltdowns are no fun. Learn how to keep the tantrums and whining at bay with these 2 tips. Thinking ahead about car maintenance is important especially when taking your kids on a long drive alone. Learn how to get your car ready for vacation with the Single Mom’s Guide to Preparing Your Car for a Road Trip. Just because you are a single mom, you and your children shouldn’t have to give up vacationing together.